Please join AAGS for a talk from University of Washington anthropologist Dr. Dan Eisenberg: 'Evolutionary and developmental perspectives on telomeres and aging: thrifty telomeres and intergenerational plasticity'. Lunch will be provided. Dan Eisenberg is an associate professor of anthropology at the University of Washington. He is a human biologist and anthropological geneticist who is interested in understanding how our health, biology and behavior can be better understood from evolutionary perspectives. Dr. Eisenberg specializes in telomere biology. 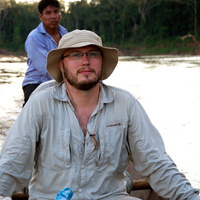 His research is primarily with populations in the Philippines and Bolivian Amazon.